Dennis McClelland is a Board Certified Labor and Employment Lawyer who has practiced exclusively in the area of labor and employment for over 21 years. He represents employers in civil court litigation, arbitrations, and administrative proceedings regarding claims involving wage and hour, employment discrimination, family and medical leave, union-management relations, employee benefits, and various employment-related torts. In particular, Mr. McClelland has extensive experience representing companies in FLSA collective actions, mass individual and multi-plaintiff FLSA actions following decertification, and Department of Labor investigations. He also provides strategic consulting to companies regarding complex wage and hour law compliance matters. 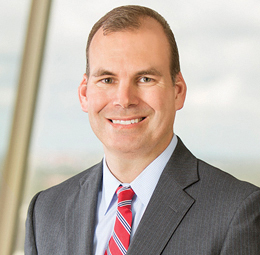 Mr. McClelland also regularly represents employers in prosecuting and defending cases involving alleged breaches of non-competition agreements, misappropriation of trade secrets claims, and employment or business-related tort claims. He routinely counsels employers regarding compliance with various applicable federal, state, and local labor and employment laws, including the preparation and/or review of employment contracts, severance agreements, and employment handbooks and policies. He represents a broad range of employers in the financial services, retail, hospitality, health care, transportation, construction, engineering, and manufacturing industries. Mr. McClelland currently serves on the firm’s Operations Committee and as managing partner of the firm's Tampa office. Lead counsel in numerous FLSA individual and collective actions involving issues of coverage, independent contractor/employee status, off-the-clock work, exemption misclassification, and overtime rate computation. Matters have involved companies in numerous industries, including financial services (securities brokerage, trading, tax preparation, mortgage loan), retail (grocery, furniture), real estate, petroleum, health care (staffing, home health), service, and hospitality (restaurants, valet, cruise). Lead counsel in numerous cases for companies in the hospitality industry involving the application of the tip credit rule. Lead counsel for national furniture company in FLSA collective action challenging the application of the Section 7(i) exemption to the company’s sales associates; putative class included hundreds of sales associates. Lead counsel for petroleum company in FLSA collective action in which assistant managers challenged application of the fluctuating workweek method of computing overtime compensation; putative class included hundreds of assistant managers. Lead counsel for companies in numerous Department of Labor investigations and enforcement actions, including large-scale investigations involving hundreds of employees. Representation of companies in numerous individual employment discrimination claims, including at the administrative charge phase, before an arbitrator, or in state and federal court. Representation of financial services firm in age discrimination class action brought by 14 former employees in Florida state court under the Florida Civil Rights Act of 1992 (putative class included hundreds of employees). Representation of financial services firm in defending Title VII retaliation claim in federal court through trial and successful appeal to the U.S. Court of Appeals for the Eleventh Circuit. Serves as the lead regional labor counsel for a world-wide company, handling numerous labor arbitrations and unfair labor practice charges. Representation of national rental car company with RC petition and organizing campaign, including a two day hearing over the composition of the unit, an appeal to the NLRB, and the union campaign through the election. Representation of regional energy company with DC (decertification) petition and election campaign. Lead counsel for package delivery company in hybrid Section 301 action brought in federal district court in Louisiana through summary judgment proceedings and appeal to the U.S. Court of Appeals for the Fifth Circuit. Representation of pharmaceutical company in ERISA action involving the denial of severance benefits. Representation of petroleum company in action to recoup overpayments made to employee from employee retirement plan. Lead counsel for employers and executives in matters involving enforcement of non-competition, non-solicitation, and other restrictive covenant provisions; alleged misappropriation of trade secrets; and/or alleged breaches of fiduciary duty. Representation of financial services firm in action enforcing non-competition agreement and protecting trade secrets through preliminary injunction phase and damages trial. Representation of technology company in enforcing unsigned non-competition agreement through application of the doctrine of reformation.